Dell has announced a new version of its USB Imaging Tool. You can download this version here in the Download section. Last week Dell officially annouced the release of the new Dell Wyse 3480 Latitude based Thin Client. Equipped with Windows 10 IoT and available in more than 20 countries worldwide, Dell uses the well-known Latitude brand to create a mobile Thin Client. As many of you have already asked for several times in the forum has happened yesterday. 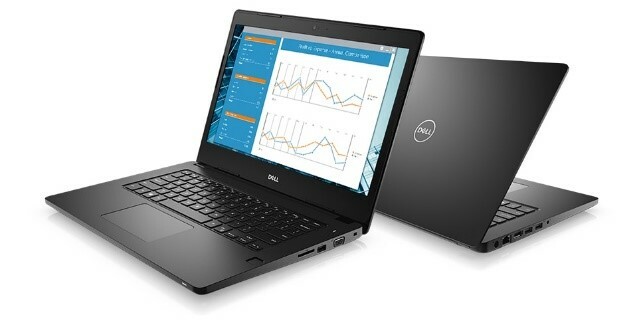 Dell has released the latest and greatest version of its ThinOS operating system. This release is packed full of new and cool features. Here is a comprehensive list of all new additions. 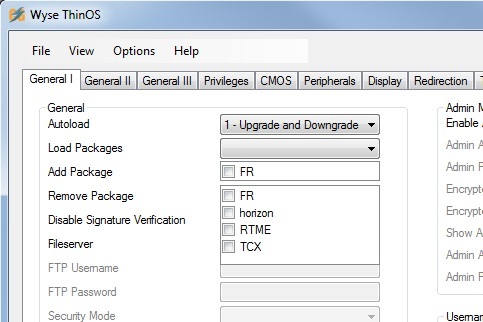 If you are under ThinOS maintenance you can now download the new firmware directly from Dell Digital Locker. Simply log in, select “Wyse ThinOS Maintenance” under Products and then “Available Downloads”. All the new different versions are listed there. The naming is not always intuitive, but I am sure you guys will figure it out. As there was an issue with analog audio recording on the 3040, the release of 8.4_009 for Wyse 3040 was postponed. Earlier this week during the Citrix Synergy Dell announced the availabilty of the new management suite for Dell Wyse Thin Clients, called Wyse Management Suite 1.0. WMS is technically very similar to the Cloud Client Manager. Therefore CCM will now be renamed to WMS. However, WMS will be available in three versions. The Standard version will be on-premise solution, it is free of charge and can be installed in the local datacenter. The Pro version will be available as on-premise and public cloud offering. This version is subscription based that includes per seat cost, maintenance and ProSupport. CCM customer do not have to do anything. They are automatically migrated to the new WMS. If you are using WDM, you should stay with it for now. Later Dell will release a migration path at no cost, if you want to go from WDM to WMS. Refer to Wyse Management Suite documentation for the current list of supported Wyse thin clients and recommended firmware builds. Note: Wyse Management Suite does not support PCoIP zero clients. Normally I am not patting myself on my back. However, the new version of ConfGen has cost me a lot of work and I really hope you will like it as much as I do. 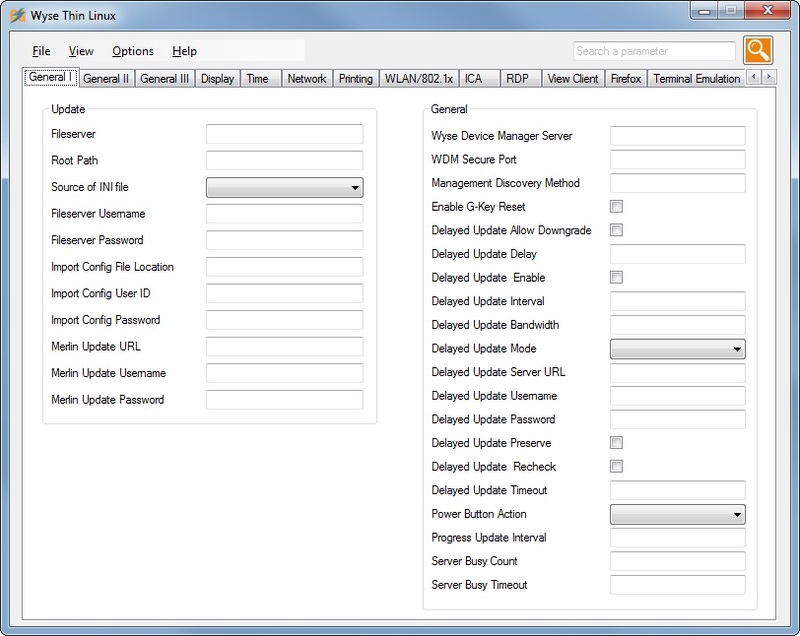 The new version 8.0.0.1 has a brand new section for Dell Wyse Thin Linux. All parameters up to version 1.0.3 are included now. Second new part is ThinOS. Of course, ThinOS is not new to ConfGen. However, I have included all new parameters for the upcoming 8.4_009 release planned for end of June. Besides of all the new parameters, I have done some design changes. There is a new dropdown field available, which is capable of selecting more than one value. As you can see below, the field it auto-expanding in the moment you move your mouse pointer on it, showing all values with small checkboxes in front and as soon as you leave the box with your mouse pointer, it is shrinking automatically again showing a small green tick in front of the box to make clear, you have selected something. The other change is the red alert sign in front of all fields that allow encryption. As you know, I am no longer allowed to encrypt any strings in ConfGen, as you all should use AES encryption instead. To make it clearer, I have added the red alert sign showing up as soon as you enter anything in such a field. 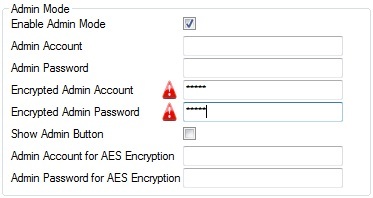 You can hover over that sign to get a warning or click on it to get help on creating AES encrypted passwords. Last but not least, I have modified all Comboboxes and Numeric fields to be read only to prevent entering wrong values. Also ConfGen is now saving the path of the last opened file for later use. Let me know what you think about all these changes. Wyse ThinLinux 1.0.3 is now available with Wyse 3030 LT, 5020 and 7020 thin clients, in addition to Wyse 5060 already shipping with ThinLinux version 1.0.3 since January. ThinLinux 1.0.3 upgrades Linux Kernel to version 4.4. 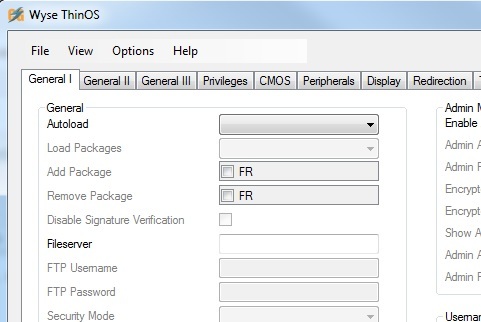 It also supports updated RDP, VMware Horizon client, Citrix receiver and Firefox browser. New features include VMware Blast Extreme ready, Citrix HDX ready, Skype for Business RTME 2.1 and 4K monitor on Wyse 5060 thin client. Dutch and Portuguese are additional languages supported by this version as well. 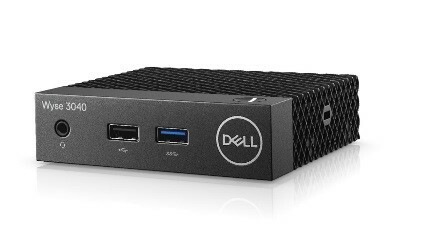 Along with the release Dell direct made an on-line upgrade available for Wyse 3030 LT, 5020, 7020 and 5060 thin clients. This ThinLinux version 1.0.3.1 adds support for Korean and Simplified Chinese languages. As an optional add-on you can now also get Chrome browser. Yesterday Dell officially released their brand new Thin Client called 3040. This little puppy is only small in its dimensions. As you can see from the pictures the client looks like an icehockey puck and is not much bigger. It measures only 101.6mm x 27.94 mm x 101.6 mm (HWD) but is packed full with the latest and greatest hardware components. Based on an Intel Atom x5-Z8350 Quad Core 1.44GHz CPU, it is equipped with 2GB RAM, 8 GB flash for ThinOS and 16GB for the ThinLinux variant, 3 x USB 2.0, 1 x USB 3.1 Gen 1, 2 x DisplayPorts and a RJ45 1 Gb/s network port. Optionally you can get it with inbuild Dual band 802.111 a/b/g/n/ac wireless and Bluetooth. The graphic card supports up to 2560×1600@60Hz in dual screen mode, so each monitor can use that resolution. And the best is, that this tiny box only needs 3.3 Watts in idle mode. As written above, the unit will be available with ThinOS and ThinLinux. Today Dell announced the release of the new SUSE Linux 11 SP3 MR8. I have just uploaded the latest version of my Configuration Generator, ConfGen. The version number is 7.7.02 and beside some bugfixes (as always) I have updated the ThinOS part to support all parameters up to ThinOS 8.3_108 which will be released very soon. I will update you when this ThinOS version will be publicly available and tell you all about the new features and settings in this version.